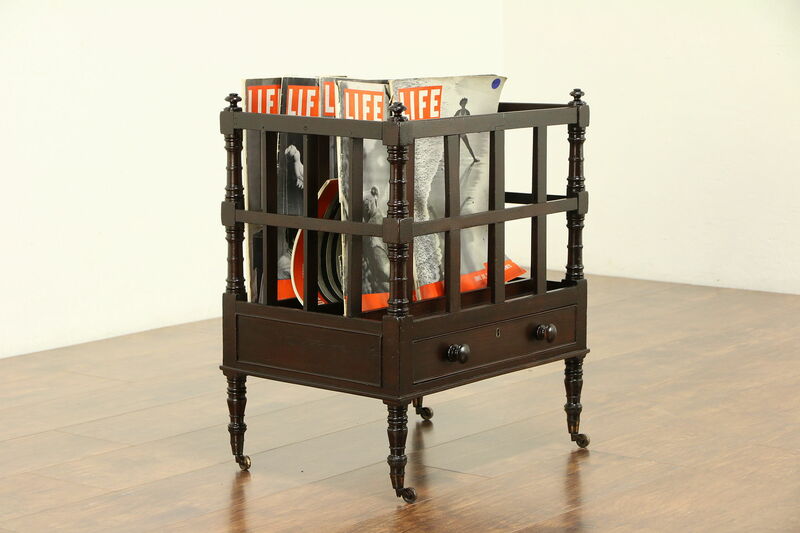 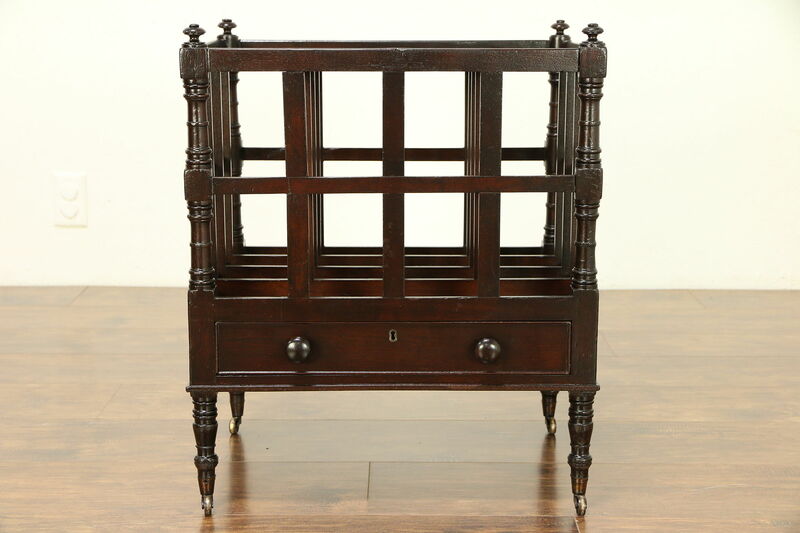 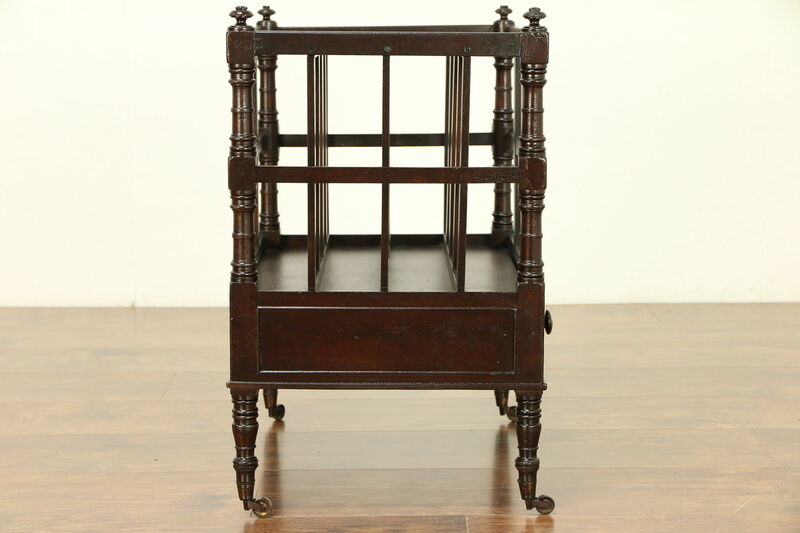 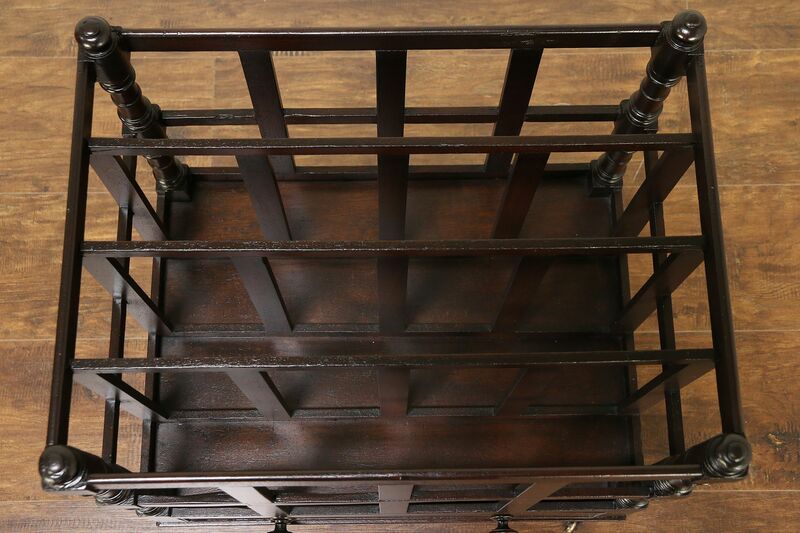 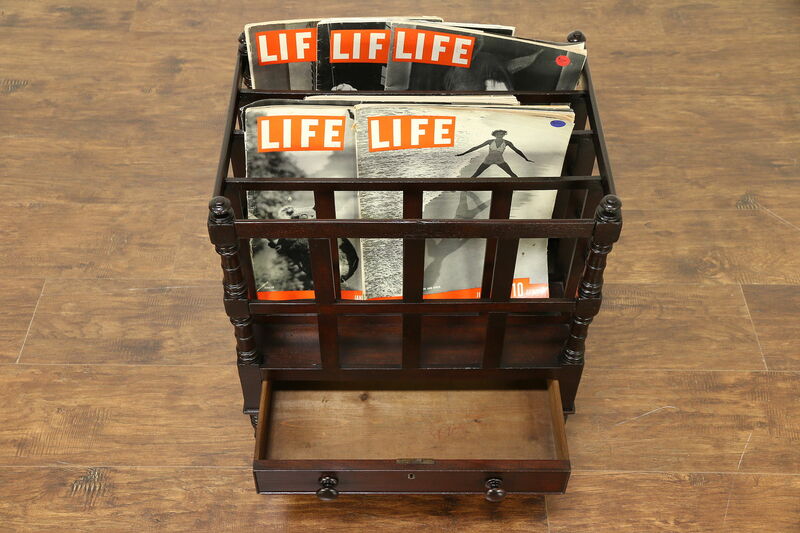 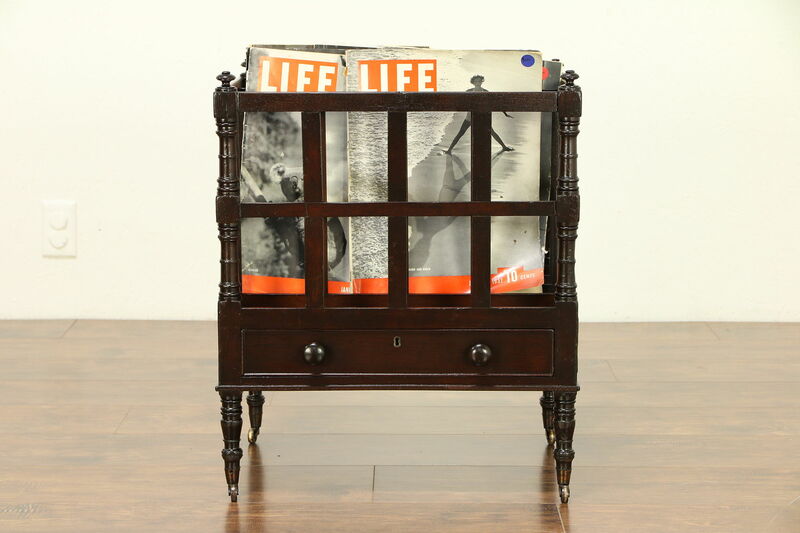 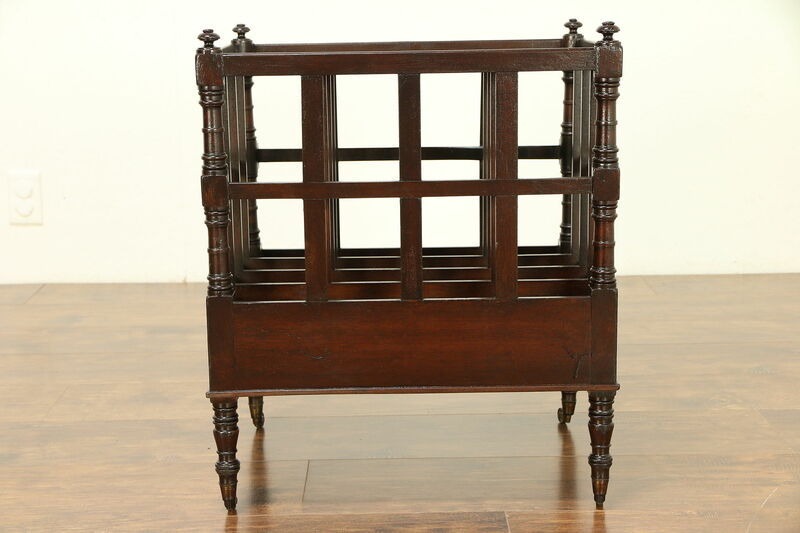 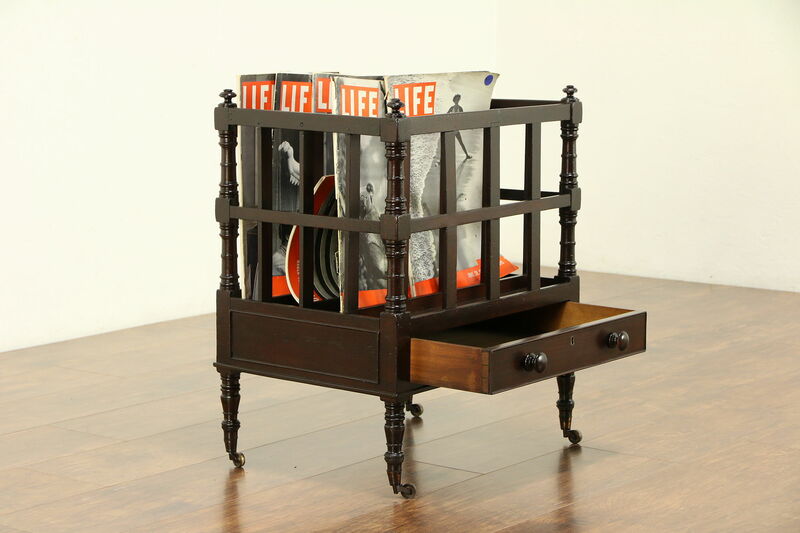 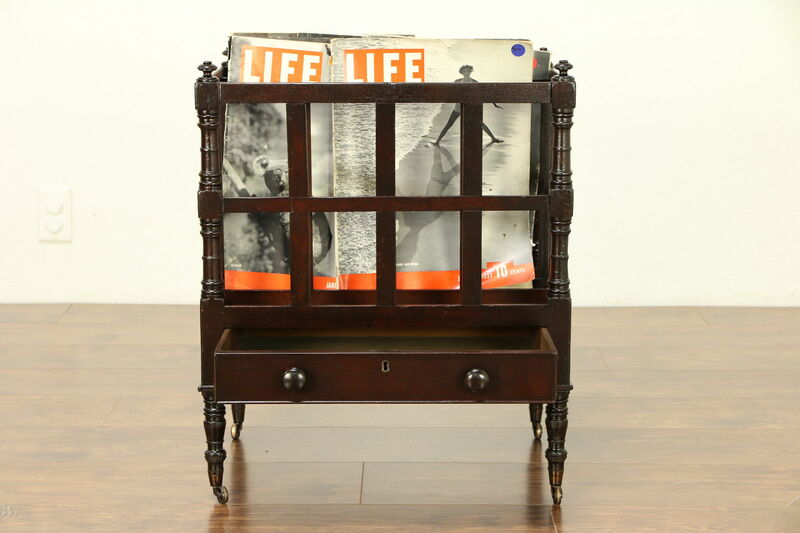 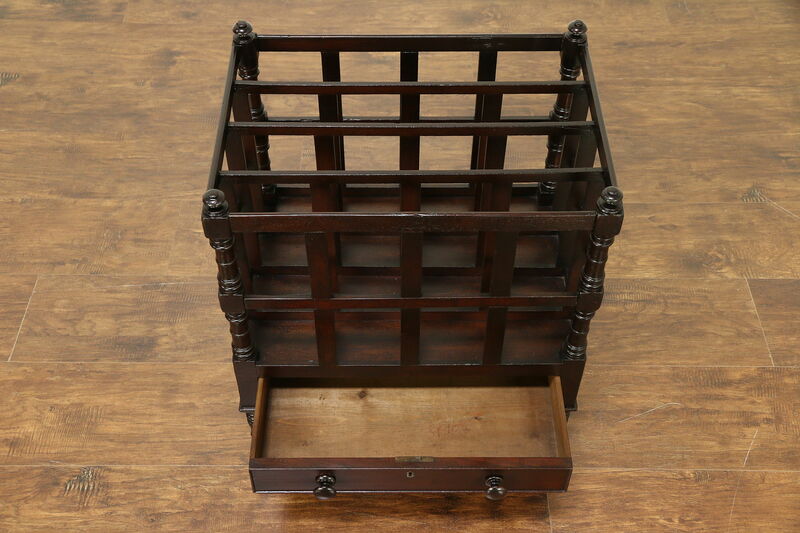 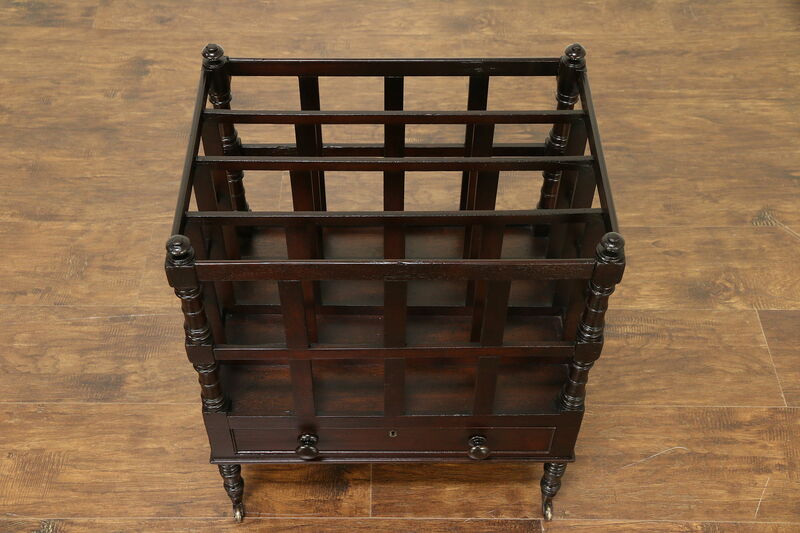 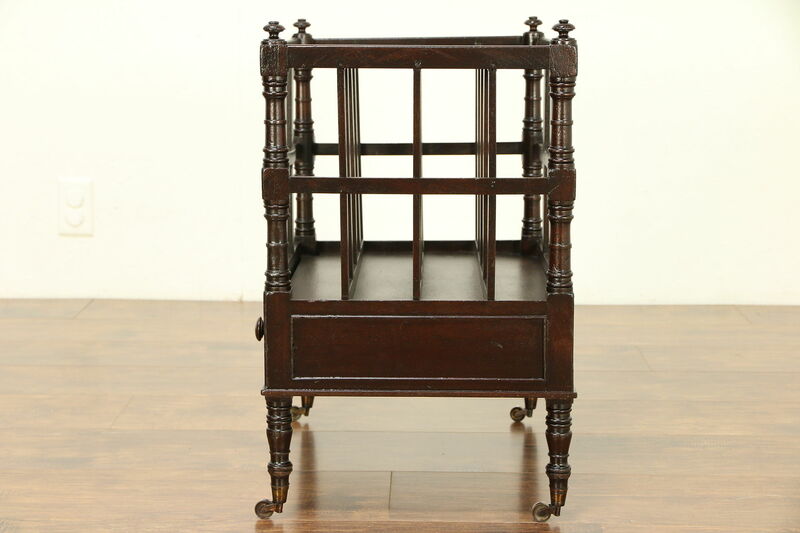 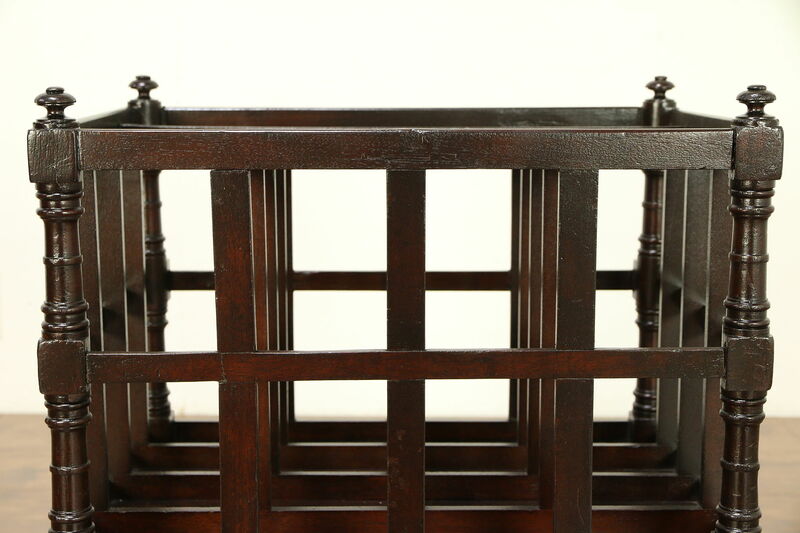 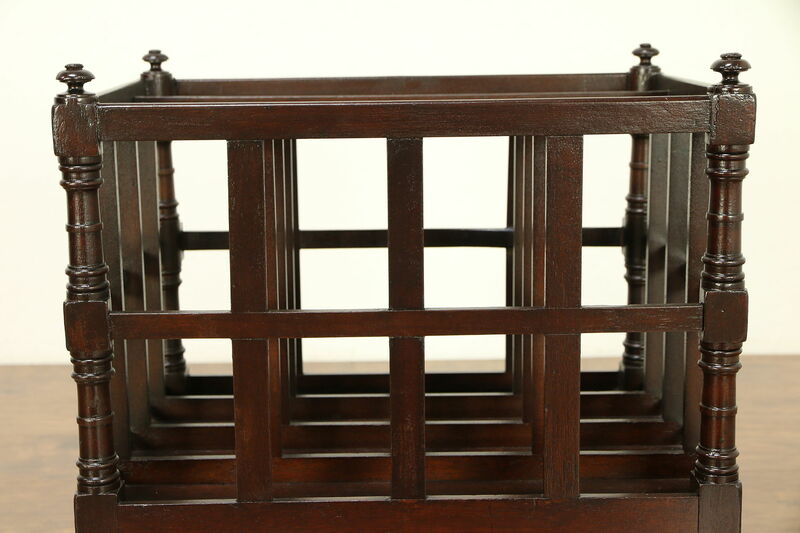 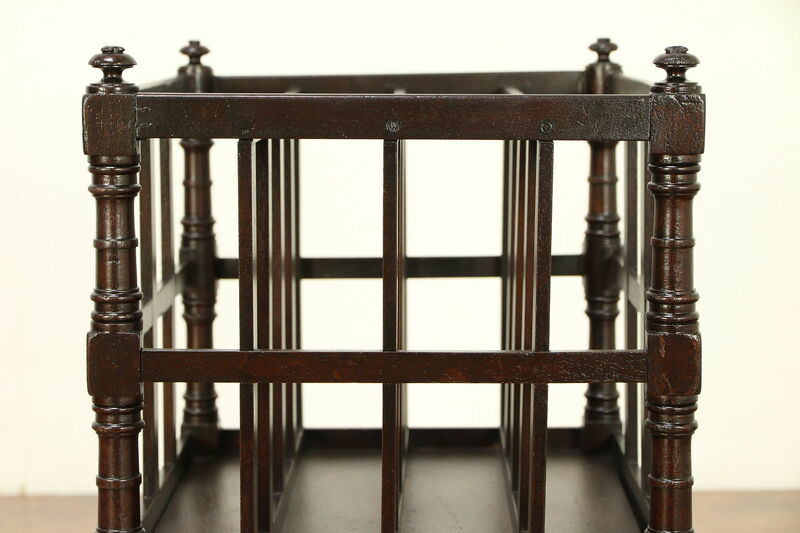 A traditional "Canterbury" or music caddy and magazine rack was hand crafted of solid mahogany about 1880. 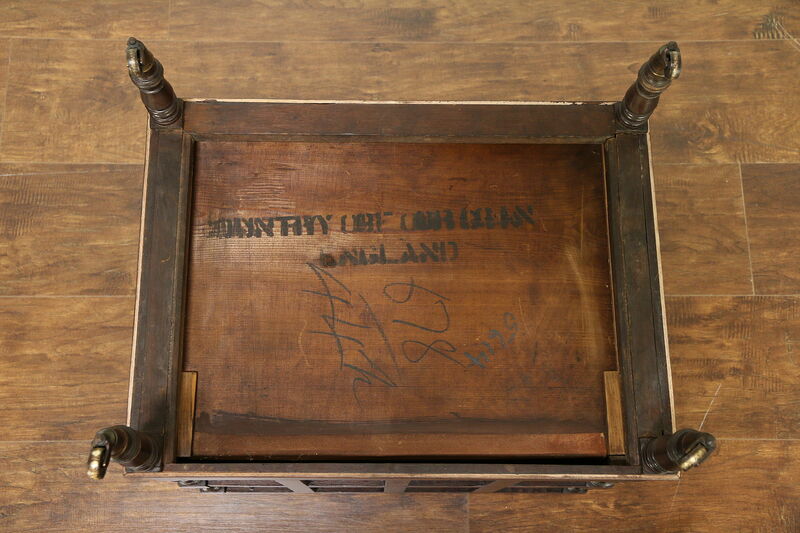 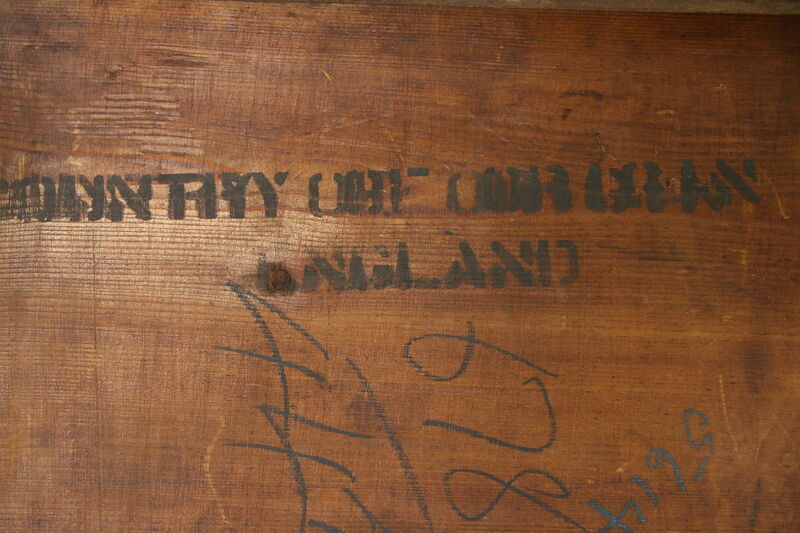 When brought to America, the bottom of the drawer was stenciled, "Country of Origin, England." 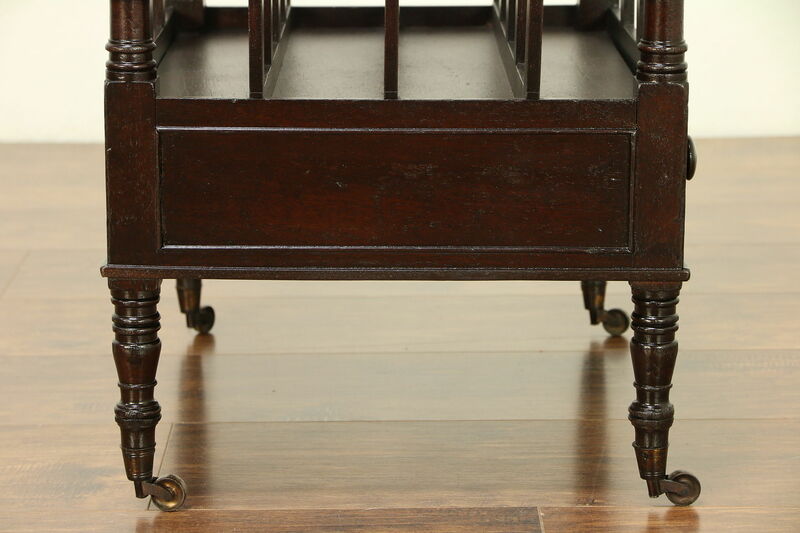 Brass wheels are original. 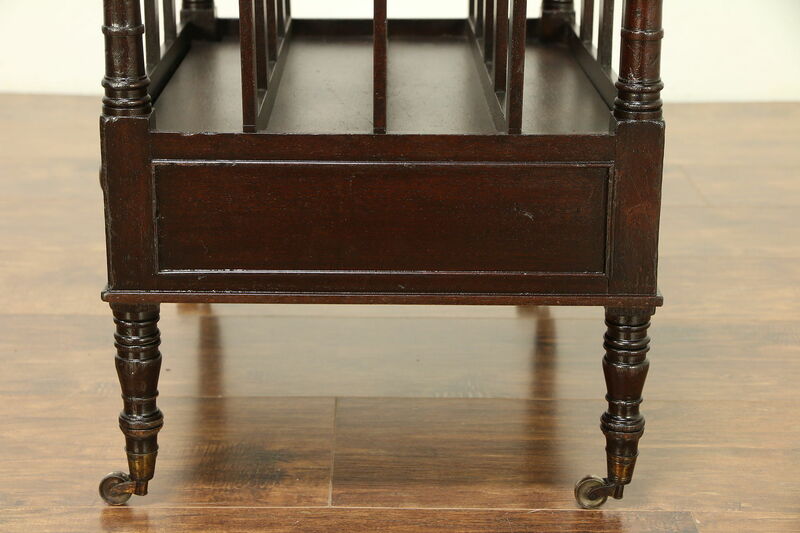 The worn old finish has been revarnished, and there are just enough losses, mars, repairs and shrinkage separations from age for a little antique character. 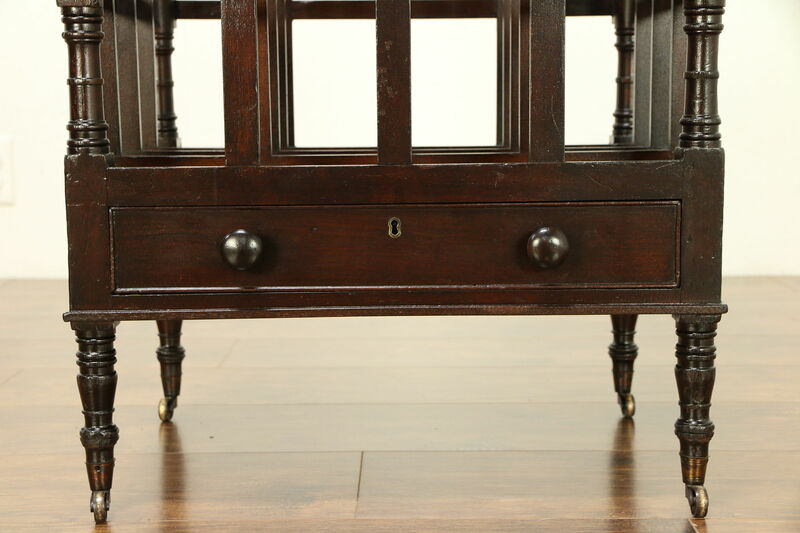 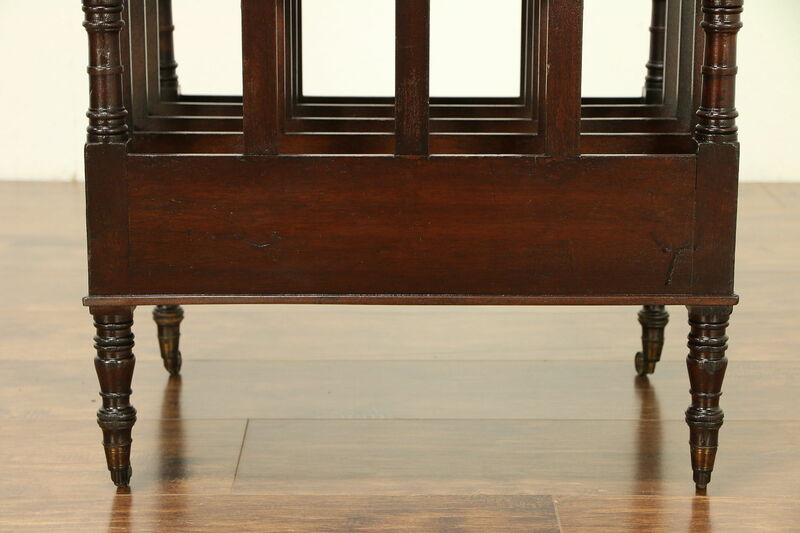 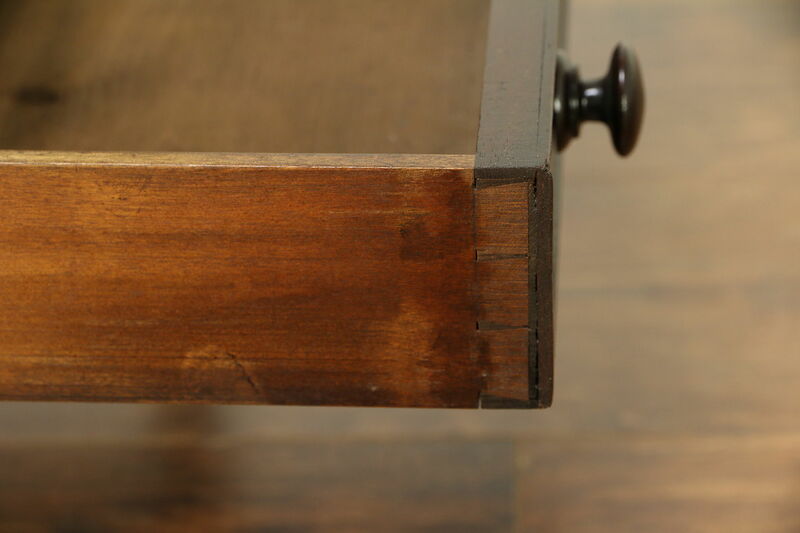 There are hand cut dovetail joints, chamfered bottom and original mahogany knobs on the drawer. 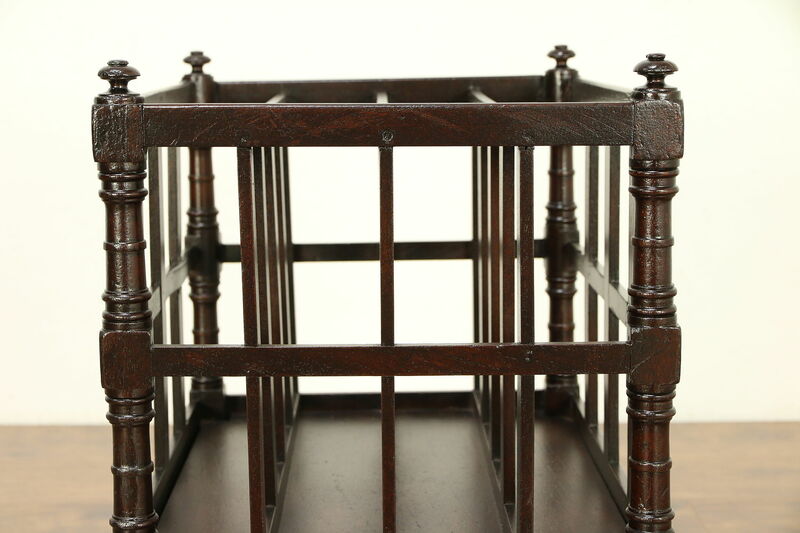 Size is 19" x 14" and 23" tall.